The Sizzix booth at the Create and Connect show was better than I've ever seen it. So many hours of work put in by the Sizzix team. The lady behind much of the creative madness is Debi Adams. 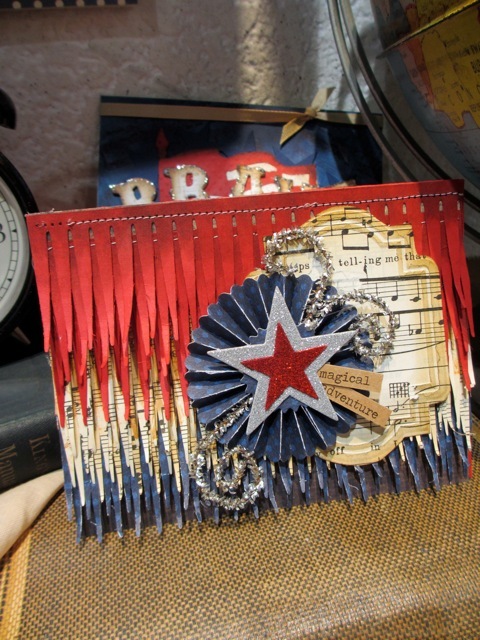 Debi is a behind the scenes girl that works in the Sizzix art dept. (pictured below with Richele). She is also the loveliest, kindest person and so very creative, using Sizzix dies to make amazing things. Here is the Christmas side of the Sizzix booth. Our own winter cabin right down to the snow on the ground. 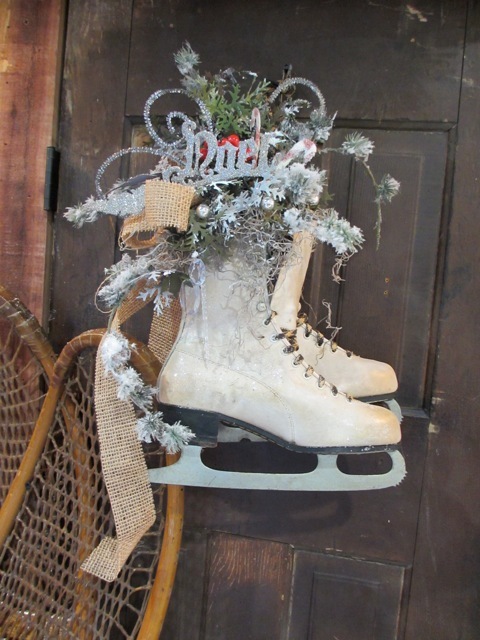 Debi is responsible for lots of the props found in the Sizzix booth and for the decorative elements such as these ice skates on the door. 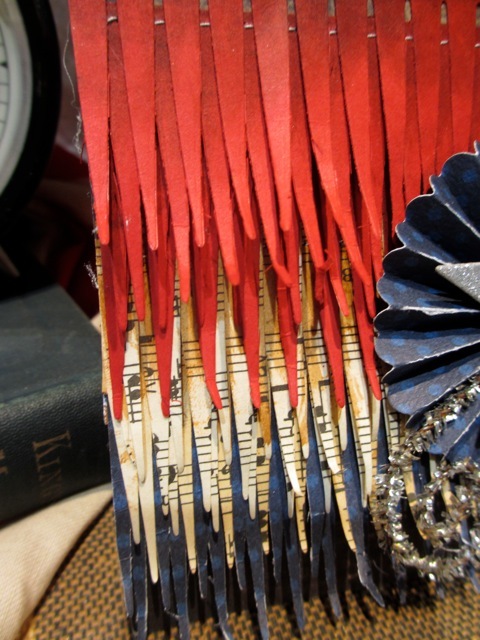 Would you believe she made a TREE with the Tapered Fringe die? I had to go back at look twice just to try and figure it out. You can see the entire tree in the large picture above next to the snowshoes. She made this card using the same die. 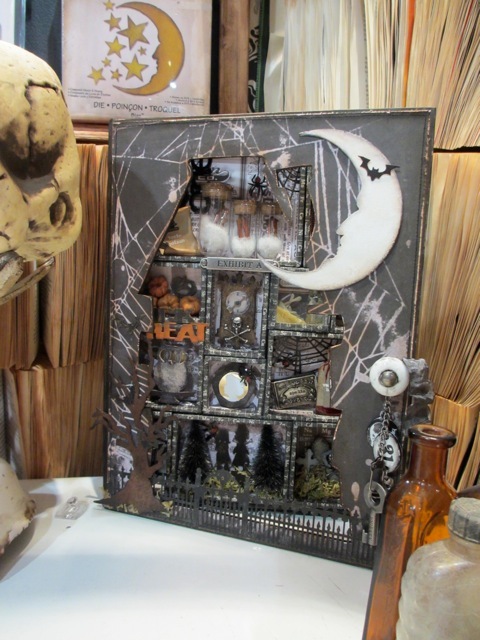 More samples from the booth - a Configurations Tray by Richele Christensen. 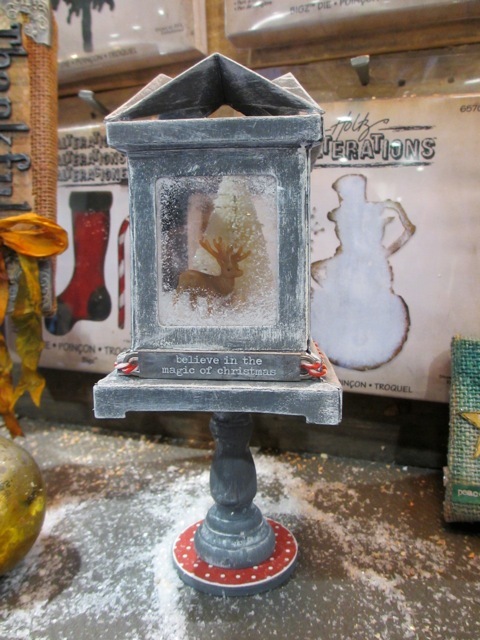 A darling luminary (new Sizzix die) by Shelly Hickox. Right from Tim's mind and created by Marty Graff the creative genius behind the hard scape of the booth. I think this is my favorite set Tim has ever dreamed up. When I turned the corner of the booth, it was like going to an Anthropologie of the past, when displays were bigger and more special. And the piece de resistance, the deer head. Amazing detail. My favorite Mou Saha sample using the new Spider Web decorative strip, stuck into the books of the library. A fabulous Configurations book by Richele. She cut the haunted house right in the cover. Well, that's it for today. 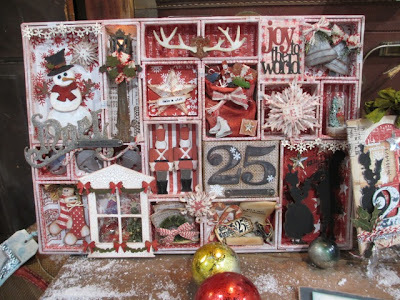 I hope you have enjoyed this short tour of the Sizzix booth. There were so many samples to see and be inspired by. 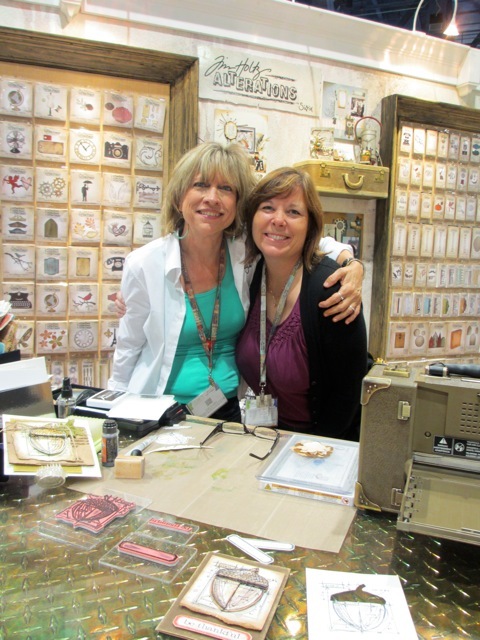 A special thanks to those who designed samples for all the booths - Ranger, Sizzix, idea-ology and Stampers Anonymous. The booths could never be what they are without their work. Thank you so much. AMAZING! Thanks for posting more pictures Paula. I just love the whole set up! thanks for sharing more photos, I am in awe of everyone's work. FABULOUS booth and pictures. Talented people unleashed! Looks completely amazing... thanks so much for sharing it with those of us that couldn't be there! Beautiful post! So much inspiration and talent! totally cool and wonderful stuff! Such cool stuff! Amazing designs and special props to those who make the ideas come to life. All the Tim/Paula booths looked amazing this year... Those Ice skates.....Sigh....so cool. 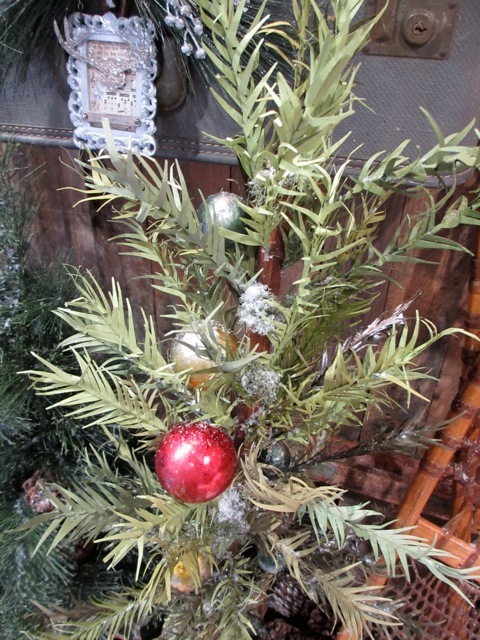 As for the fringe tree....I'd call it a "faux feather" tree. you are all amazing!!!! the booth looks amazing! Can't wait to get my hands on the new product! Love that library, too! And the cabin, the door with skates, etc....swoon!!! Thanks for the great pics. Truly wonderful and inspiring! 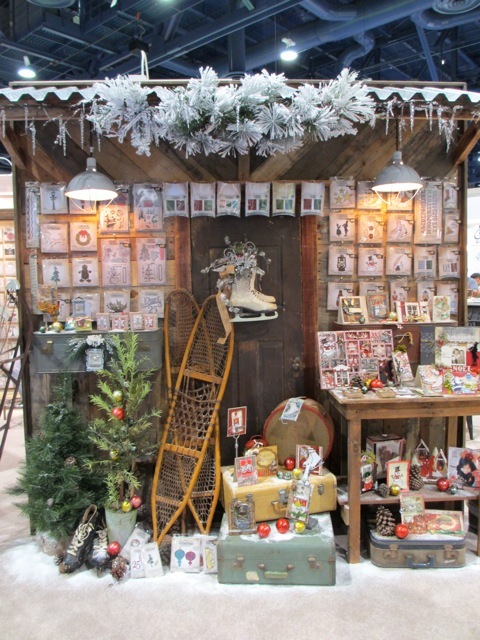 I love the way the ice skates have been presented, the Christmas tree is fabulous - I just love everything int he fabulous booth. Love the minds that come up with the vision and the talent and hard work that goes into making it a reality. It's so incredible to see in person. Makes me so happy! Wow! J'aime beaucoup la "winter cabin" mais j'adore la "Library". Que de talent! Love, Love, Love all the Christmas goodies and that wall of books - now I want one in my house - but dusting - hmmm have to think on that one. Hi Kat, Yes I believe there will be a holiday kit this year. I will keep you posted! 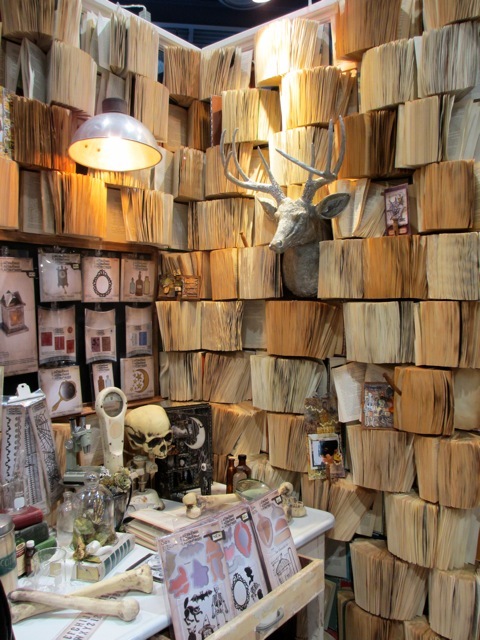 That library wall is incredible! 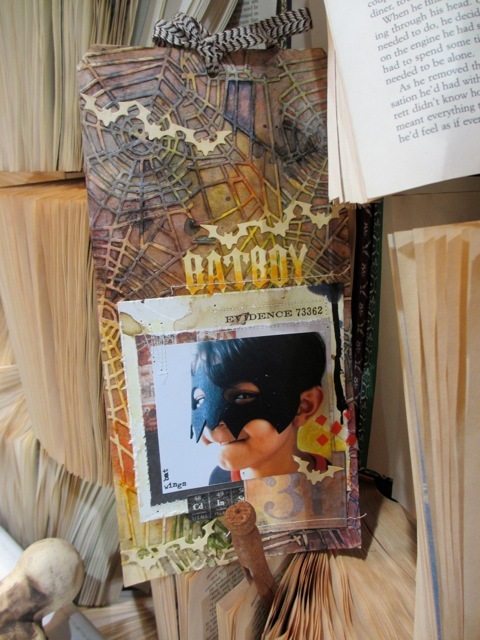 Thank you for sharing all the amazing projects and booth photos. It was nice seeing you at Create-n-Connect in Vegas. I am sooo... glad you are posting pictures, because even though I was there, I missed so much. Thanks for sharing. Oh, I so much wish I was there too! There is just so much talent represented in this booth! It's all very inspiring. The booth looks amazing and inspiring!